[3 mins. 22 secs.] 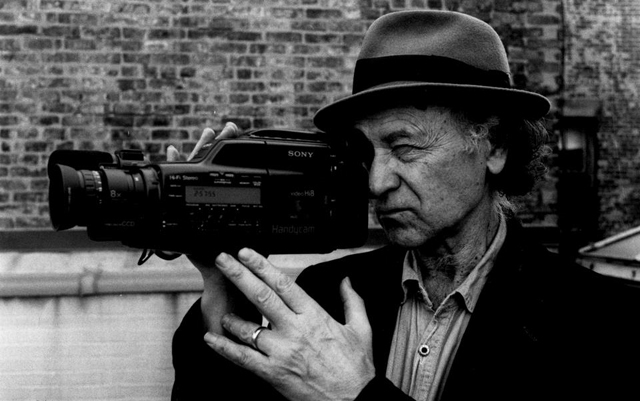 Grandaddy of experimental film, Jonas Mekas is the guest in the first segment. He's joined by the Artistic Director of The Brooklyn Rail, Phong Bui. The Anthology Film Archives, of which Jonas is one of the founders, is currently undergoing a capital campaign to raise money for a floor to the top of the building which will house a film archive library. This conversation took place at the Anthology Film Archives in the East Village of New York City. [51 mins. 9 secs.] Also cultural journalist & avid film lover Jennifer Merin describes recent events regarding the theft of her family home in Queens. Music on this episode the podcast is by American Nomads off their brand new album, Ghost Highway now available on iTunes, Amazon & Spotify.